If you own a piano, you know that not only is it an expensive asset, it also has many sentiments and family memories attached to it. The thought of moving it then naturally raises a lot of concerns. Will it get chipped? Will a leg break? Will it experience any moisture damage during transportation? At Precision Movers, our experienced piano movers know how to pack your piano safely to ensure that it won’t be damaged during the move. Our team is highly capable of handling and transporting high-value shipments, even of the most fragile nature. How Can Precision Piano Movers Help Me? 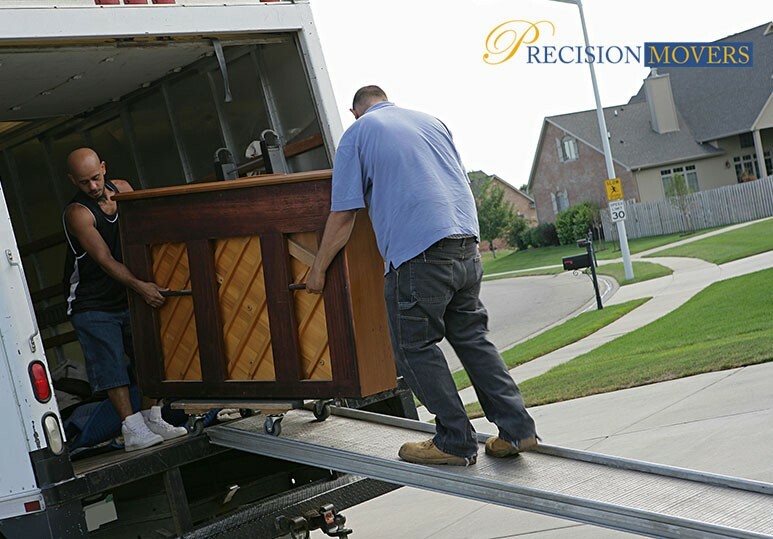 Whether you need to move your piano from one room to another or to a new home, Precision’s piano movers will always take exceptional care of your instrument and see that it arrives safely. We work hard to bring you the best piano moving service in Calgary. Piano moving is a specialized service. Our professional piano movers undergo extensive training in proper piano handling techniques including loading and packaging. You can trust that we’ll provide the most secure transport services for your grand or baby piano. As one of Calgary’s most reputable moving service companies, we have the expertise, resources and equipment to ensure timely and secure transportation for your precious instrument. This includes using special piano moving equipment such as a piano board or dolly. Prior to moving your piano, our knowledgeable team will ensure that all the delicate internal parts of your instrument are secured to prevent any damage. Our trucks are designed and padded to transport your instrument safely to ensure that it reaches your new destination avoiding any damage from unforeseen road hazards. At Precision Movers, we understand the invested and sentimental value of your piano and will always treat it like it’s our own. We pride ourselves on committing fully to every job. When you work with us, you can rest assured that your piano will be carefully packaged, carried and securely transported, with no detail spared. To learn more about our piano moving services, contact us today at 403-540-4393. We look forward to hearing from you!